I am very ready for summer! The way I feel about Summer in May is the way I feel about school in August; I can't wait for it to get here!! I'm sure most parents can relate to that statement. I want to have a nice relaxing summer but still have tons of fun with my kids. I have the kind of kids that need to be just a little busy or they drive me crazy. At the end of the summer last year I wished we did a few things that we just never got around to. So this year I'm making a bucket list and hopefully I won't have any regrets come fall. Here is my bucket list for the summer. And yes having ice cream for dinner is on my bucket list. I can't think of a better way to spoil my kids and have fun! 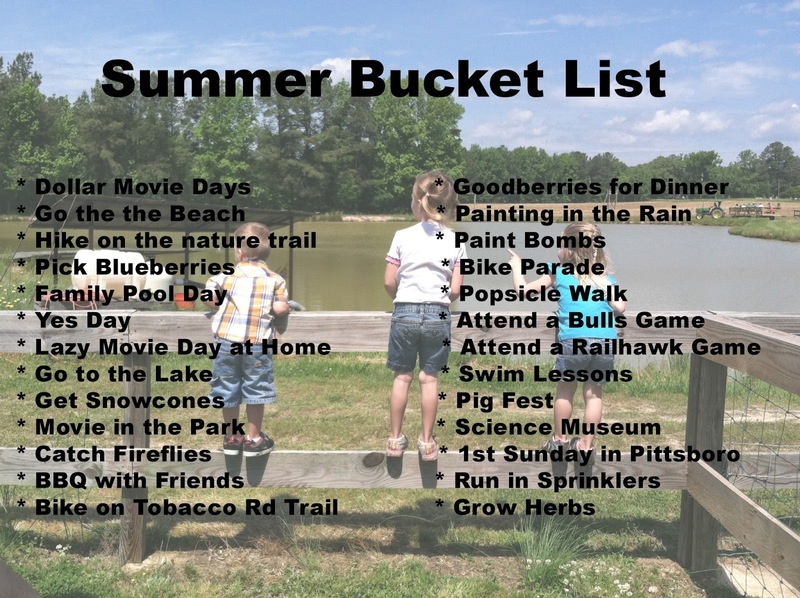 What's on your bucket list for the summer? Curious about the pig fest. What's that? Clicked the link for the paint bombs. What a FUN idea! Love your list, Allison! The pig fest is a BBQ festival in the next town. It's so much fun and the food is amazing. Best of all, it's free admission and kid's activities.